Business Intelligence (BI) a is very broad and generic business objective which can be implemented using any number of software application(s). While a SAP Business Warehouse (SAP BW) system is the physical implementation of a Business Warehouse (BW) strategy which enables an organisations Business Intelligence (BI) capability. The phrase ‘Business Intelligence (BI)’ is very broad and generic. The focus is on achieving a higher level of understanding of the health of a organisation by analysing related data. The use of the word intelligence highlights that this fundamental understanding is then used to make ‘intelligent business decisions’. The phrase ‘Business Warehouse (BW)’ is more specific. The focus is on a collection of products and services that give the business personnel the capability to achieve their BI insights about the heath of the organisation. It is a Data Warehouse that specifically targets the ‘business point of view’ to consume that data. 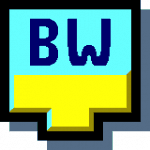 The phrase ‘SAP Business Warehouse (SAP BW)’ is a very specific implementation of a BW solution available from a leading software development company, SAP AG. An organisation would install, configure and maintain SAP BW systems as the tool to collect, combine and consume their business data to achieve their goal of making intelligent business decisions (hopefully). Further Reading: Learn ‘What is SAP BW?’ and where it fits in an organisations high level IT Strategy.